This is shorter version of a paper which was presented by the author at the ASEAN-India Forum on “Philippines and India: Strengthening ASEAN-India Partnership”, jointly organized by the New Era University-ASEAN Studies Centre, the ASEAN Center-New Delhi, the Asia-Pacific Pathways to Progress Foundation, Inc., and Eagle Broadcasting Corporation on 21 November 2017 in Quezon City, Manila. 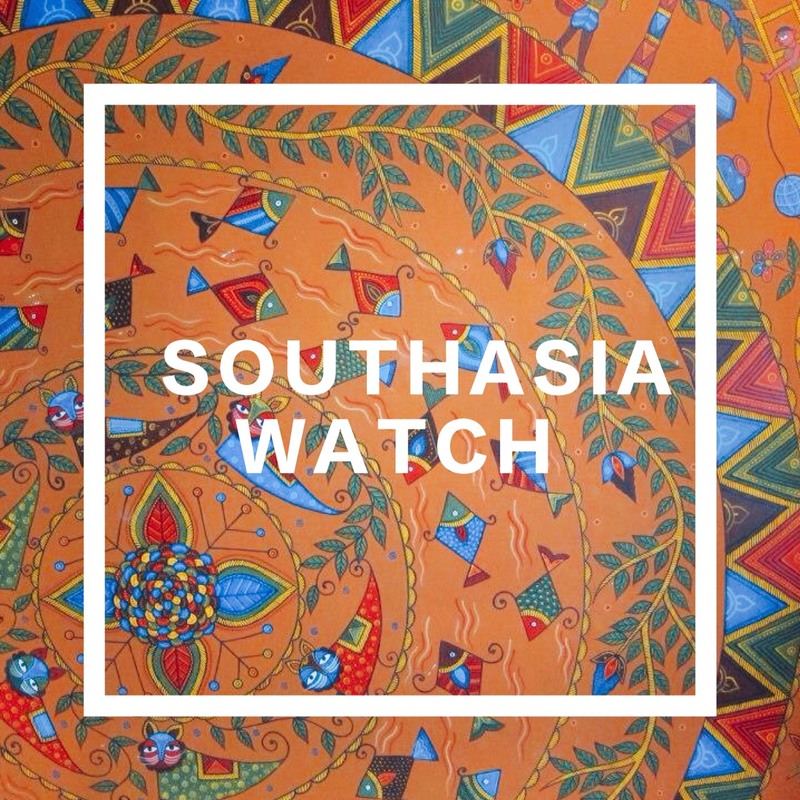 When we look at cultural aspect of India’s relations with the countries in Southeast Asia, we come across several accounts of how Indian ideas have influenced the region in the past and at present. Generally, the influence of Indian civilization on the Association of Southeast Asian Nations (ASEAN) countries is a starting point of almost every political speech and there is a great appreciation and articulation of civilizational ties between ASEAN and India. However, the impact that ASEAN had on cultural and historical events in India has not drawn adequate attention. This paper provides a brief introduction of India-ASEAN cultural relations and raises four issues which are important for discussion among policy-makers and scholars. The cultural interaction between India and countries in Southeast Asia was not unidirectional. Evidence suggests that the cultural influence flowed both ways and Southeast Asia has also contributed in enriching India’s culture and traditions. While Southeast Asia region have had immense Indian cultural influence, the region is not a cultural extension of India. Moreover, Southeast Asians explored outwards and made use of outside foreign influences to suit their interests. We are witnessing transformation in our societies. Deep changes in the political economy of our society are challenging the stability and continuity of the elite-dominated political system. A more educated middle class is demanding better and more accountable governance. A mass-media activated public, consisting mainly of an impoverished lower class, is demanding a greater share of the national wealth for its basic needs. These twin impulses toward modernity and social justice are today radically shaping politics in India and many countries in Southeast Asia. 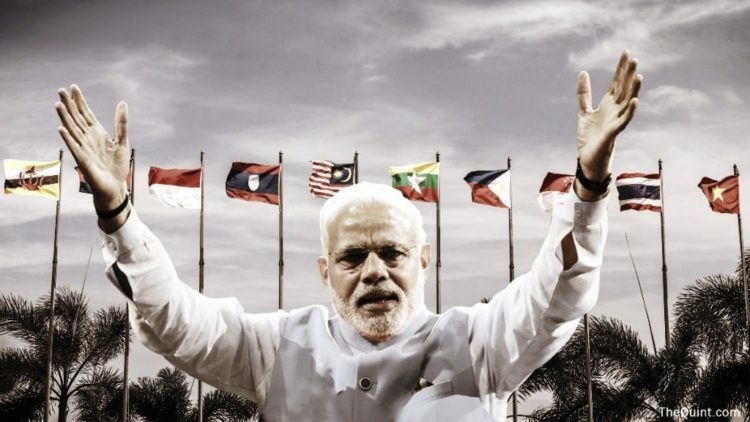 One of the strongest pillars of the present day interactions between India and ASEAN countries is the long trajectory of socio-cultural contacts with the region. Like India, ASEAN countries are full of diversities. In fact, no other region in the world can match ASEAN’s cultural, religious, linguistic and ethnic diversity. In a relatively small geographical space, we find 240 million Muslims, 130 million Christians, 140 million Buddhists and 7 million Hindus. At a time, when ASEAN and India are celebrating 25 years of their partnership, they have launched a series of events in India and all the ASEAN countries to discuss opportunities and challenges. In such an event on ASEAN-India Partnership, organised by the Research and Information System for Developing Countries (RIS) on 22 June 2017, India’s External Affairs Minister Sushma Swaraj remarked that the civilizational connect between ASEAN and India constitutes a special asset for further development of the relationship between India and ASEAN countries. Highlighting that a programme on cultural and civilizational linkages has been initiated, Sushma Swaraj proposed to document civilizational ties and shared cultural symbols. Despite the fact that culture is increasingly becoming a very important aspect of engagement, there are no Culture Ministry dialogues among the existing 30 annual institutional mechanisms between ASEAN and India. Hence, there is a need for high level engagement between India and ASEAN countries. Certainly, it is important to have a greater coordination and structured approach to deepen cultural ties further. When we look at Southeast Asia’s contribution in enriching India’s culture and traditions, there is a visible gap in academic literature. However, there are some very good examples of Southeast Asian effect on Indian society and culture. 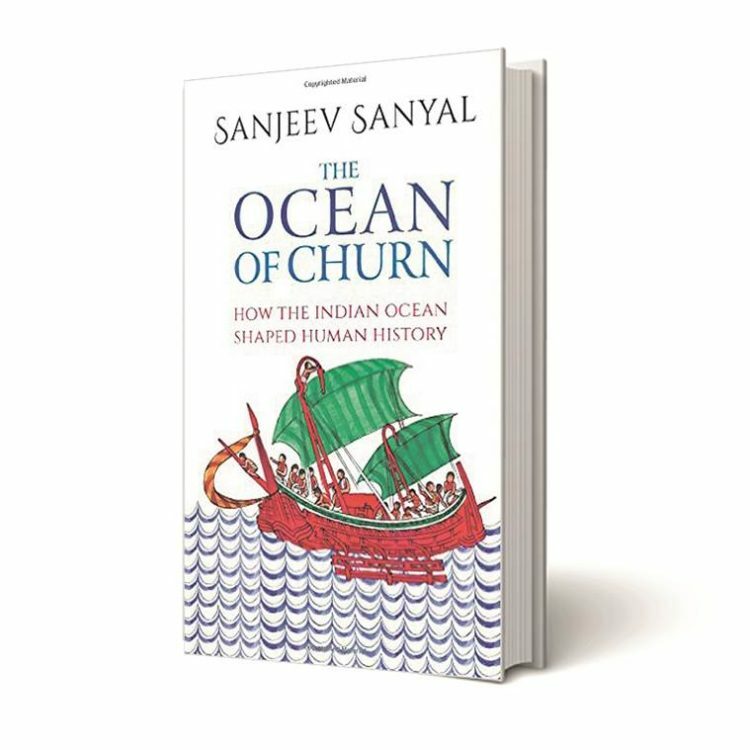 In his exceptional book The Ocean of Churn, Sanjeev Sanyal has illustrated Southeast Asia’s influence on Indian society. The Khasis of Meghalaya, for instance, remain matrilineal to this day. In fact, matrilineal customs can also be seen in neighbouring communities that may never have been matrilineal. For instance, in Assamese Hindu weddings, the sindoor (red vermilion) is applied to the forehead of the bride by the mother-in-law at the jurun ceremony that precedes the wedding. The act of applying sindoor is a key part of the Hindu marriage ritual and is usually the prerogative of the husband. The performance of this rite by the groom’s mother symbolises the women of the family accepting a new member – a very matrilineal view of the wedding. Sanyal has highlighted several other examples in his aforesaid book, which are a clear manifestation of a two-way cultural communication. Despite a rich cultural heritage, the cultural connectedness and communication between ASEAN and India is very limited. While we celebrate our past and continue to follow several rich cultural traditions, we also witness modifications and adaptations and infusion of new elements in our cultural journey. The contemporary dynamics of the region and the fast-changing global society brings new ideas and poses different challenges. Therefore, it is important for ASEAN and India to deliberate upon issues on which they could share their expertise and experience and learn from each other. 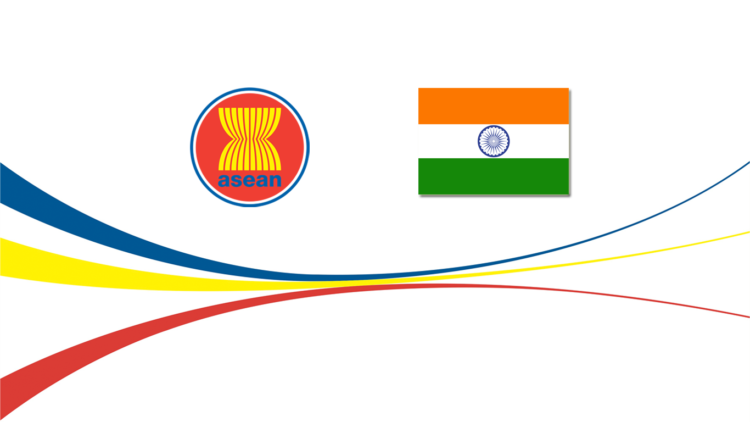 At least four key issues require attention for greater collaboration in the realm of culture between India and ASEAN. The first issue is the management of cultural resources. Culture and cultural resources represent a vital asset in efforts to develop tourism across ASEAN countries. Moreover, tourism is highly dependent on cultural attractions, and proper management strategies would ensure that cultural assets could be preserved and also contribute significantly to the material well-being as well as the stability of their societies. ASEAN and India should enhance their technological and professional cooperation in the area of cultural resource management. The second issue is that of intercultural communication. Culture is a dynamic thing and it changes with time and circumstances. Cultural groups face continual challenges from such powerful forces as environmental upheavals, pandemics, wars, migration, the influx of immigrants, and the growth of new technologies. As a result, culture changes and evolves over time. More importantly, due to lack of intercultural communication, the knowledge remains limited. Intercultural communication is vital to develop a better understanding of each other’s practices and sensitivities, likes and dislikes, and thus, it could be very helpful in boosting mutual interaction. The proposal of documentation of shared cultural symbols is a good step. The third important issue is dealing with the culture industry. Culture industries can enhance soft power. Both ASEAN and India have experienced an explosion of popular cultural products such as movies, pop music, animation, comic, television programmes, and fashion magazines that have expanded and deepened their reach, not only domestically but also across regional and even national borders. Multi-directional flows of popular culture have intensified to reach consumers in different national and linguistic areas, and have substantially decentralised the region’s popular culture market. As a result, consumers are exposed to various popular cultures to a great extent and are characterised by a diversity of consumption habits and lifestyles. There is a realisation among governments that cultural industries are a great source for enhancing countries’ soft power and have the potential of cultivating lucrative export enterprises. How the culture industries of ASEAN and India collaborate will depend much on governments’ policies and support. Certainly, it requires a greater coordination and structured approach. Finally, an equally important aspect is that of safety of cultural heritage. The sale of antiquities is a lucrative source of income, and illegal trade in art and historical artefacts funds terrorist activities. Terrorist groups use the black market to sell art and historical artefacts obtained illegally from conflict zones and then use those funds to support their activities around the world. Therefore, the safety of cultural heritage is related to national security and requires greater coordination and cooperation to end such transnational crimes. Cultural aspect of external interface is a powerful tool in governments’ diplomatic scheme. A pragmatic cultural policy could drive a convergence of interests towards cooperation in finding common solutions. In today’s world of swift communication, policy makers should work proactively to highlight the positive things that are happening in their countries and engage more constructively to address pressing transnational problems. Media has a critical role to play in this endeavour. The fusion of our cultural past could be enriched further through a robust cooperation between ASEAN and India at present. Rajeev Ranjan Chaturvedy is Research Associate at the Institute of South Asian Studies (ISAS), an autonomous research institute at the National University of Singapore. The views are personal. The original article was published in《The Quint》; This article was authorized by the author and《The Quint》to reproduce bilingual version on《South Asia Watch》.